If the Nichols Library does not have items you are interested in, we can try to borrow them from another library. What can we borrow? We can borrow books, books on tape, music CDs and DVDs. Statewide Network. 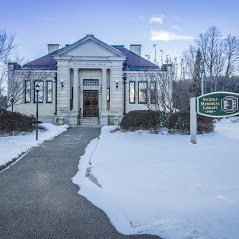 375 participating libraries share their information the the NH union catalog (patrons can browse the catalog but should bring requests us for processing). Titles not available within the NH system may be acquired from one of the state’s university libraries or neighboring state networks. How long will it take? Requests are usually filled withbin 1-2 weeks. Deliveries arrive weekly on Friday mornings.